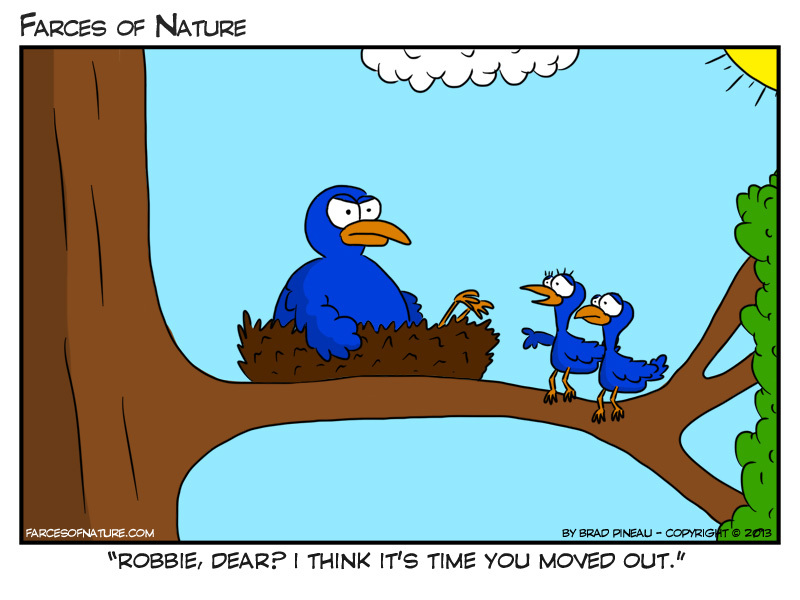 In the past, I’ve blogged about the empty nest syndrome. Many of my readers commiserated with the heart-wrenching transition to this phase. What about the refilled nest syndrome? Yes, I just made that up. It could be the no more silence syndrome. Or the where did all my food go syndrome. Perhaps the overflowing laundry basket syndrome suits it even better. My favorite sound is silence. I know. I’m strange. Silence soaks into my soul and opens my mind to creativity. Computer games, friends and girlfriends, movies until 2am – none of these promote peace and quiet. They can make falling to sleep difficult as well. I especially loved hosting friends when the boys were younger. I loved knowing where they were and what they were doing. I enjoyed interacting with the people who filled the kids’ lives. I’m not saying that’s changed, but I’m older now. When I’m tired, I lock myself away in my room with a book. Mostly because I want to wear PJs after 9pm. No one wants to see me in such attire. I won’t even mention the brotherly arguments (they both can’t be RIGHT – but each of them is certain they are). I will say they’ve gotten less frequent. I can only pray for an internship for my youngest. Then I’ll at least have the daytime to permeate myself with solitude and get my creative work accomplished. Where did all the food go? Men eat. All the time. It’s hard on the food budget and requires more menu planning on my part. “There’s nothing to snack on” is the phrase I hear most often. My response, “Go buy something then.” Yeah, that goes over like a Nerf ball in a vacuum. I am a leftover for lunch kind of gal. I was raised on leftovers and this was before the invention of microwaves (which make reheating so much simpler). I will cook extra so I can have lunch for the next day or two. First off, the more you cook, the more these men think they need to eat. You make six pork chops for four people (there should be two left), and the bottomless pits absorb those extra two. “That was my lunch for tomorrow” does little to curb their appetites. Secondly, those late night game and movie sessions work up an appetite. That extra plate of chicken and rice – ready for the microwave – passes for a midnight snack (in the absence of chips or crackers). 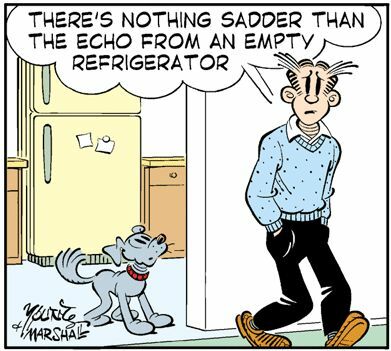 This one is irritating because I never discover it until I open the refrigerator at lunch time, dreaming of that plate of leftovers, salivating in anticipation. Where is it? There isn’t even an empty dish (until I check the boys’ rooms). It’s amazing how quickly I adapted to running two loads of laundry every Saturday. Yep, only two. Except when I changed the beds. Four people translates into a minimum of six loads. Six loads that only I can move to the dryer and only I can fold. I’m not sure how this works. No one else hears the musical chimes signaling the end of the cycle, I suppose. No, I haven’t folded their clothes for a decade or more. I put them back in the laundry basket and set them in their rooms. My oldest folds them and puts them away before he goes to bed that night. My youngest uses the basket as a dresser and his dirty clothes get piled on the floor beside it. Needless to say, the door to his room remains closed. My oldest son will take me to Taco Bell if he thinks I’m serious. The younger one looks at me like I’ve lost my mind and cooks something disgusting – Top Ramen noodles, for example – with a blithe offer to make me a package, too. Yeah, if I wanted to load up on fat and sodium. I know this sounds like I’m complaining about having my boys living with me. I’m not. I love having them around, and I’m glad they feel comfortable enough to spend so much time with us. They bring energy to the house. Translation: peace and quiet get exchanged for stress and activity. For those of you on the other end, the kids moving home for a while, what’s your take on the situation? Parents, what other changes did I forget to mention? Technology helps me do so many things more quickly. Most of the time I adore it and thank God for it. Then there are other days. You know what I’m talking about, right? All the lights flash on the dishwasher for no apparent reason (It’s possessed). The oven shuts off in the middle of a baking a cake. The computer locks up and even the power button doesn’t work so you can restart the stupid thing. Or maybe it’s the washing machine. I have lovely front loading machines for my laundry. Clothes come out cleaner and seem to look new longer. It even sings a pretty song when a load finishes. Or it doesn’t work. Period. You load in the clothes, dump soap in the dispenser and pour liquid fabric softener in its appropriate location. All set. Or so it would seem. Of course, when you push the lovely power button: nothing. No lights. No sound. No error messages. The fact that this practically new wonder of laundry wizardry doesn’t work isn’t even the most annoying thing. What can be worse you’re wondering? What irks me completely is that my husband will come home, open the door and check the power source (I’m too short to actually be able to reach the plug) and push the button. The panel will light up and the washer will tinkle its merry “I’m ready to serve you” tune. At that moment, my jaw drops to the floor. I wonder why I didn’t kick the thing. No, I don’t. That would just hurt my foot. I’m more mature than that. Can an inanimate device be so fickle that it stops working until its installer strokes it softly and tenderly? I mean, what other explanation could there possibly be? The worst part is that this happens with other appliances, too. Vacuum cleaner makes a strange sound and starts smoking. Perfectly fine when hubby switches it on. Computer program refuses to open. Starts right up at hubby’s click. Seriously? Am I just cursed? Do I possess some anti-technology gene or something that makes electric and electronic gadgets feel the need to mock me in this way? The best part about the washing machine this time: my son was home and when he pushed the button nothing happened either. Ha! Maybe he inherited my curse. I bet my husband has some sort of virus he implants in that thing so it stops working after so many loads. And I have the perfect solution for his sneakiness. He can do the laundry from now on. What about you? Have you experienced these frustrating lulls in proper operation of mechanical devices only to have someone else step up and start it like a pro?